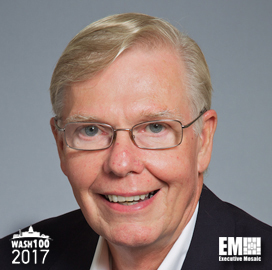 Executive Mosaic is honored to introduce Phil Lacombe, president and chief operating officer at STG, as an inductee into the 2017 edition of the Wash100 — Executive Mosaic’s annual selection of influential leaders in the government contracting arena. At STG, Lacombe leads a management team that oversees the development of software, analytics and cybersecurity products as well as customer and partner relationships. Lacombe joined STG in 2016 from Parsons, where he led the government services contractor’s commercial cybersecurity and secure mission solutions businesses. He was appointed to lead Parsons’ cyber initiatives in 2015 from a prior role as vice president and manager for the information systems and security sector at the engineering and construction firm. Lacombe co-founded and served as president and COO at Secure Mission Solutions before it was acquired by Parsons in April 2014. Executive Mosaic congratulates Phil Lacombe and the STG team for their selection to receive this award.